Bangkok’s food scene never moves at a slow pace. 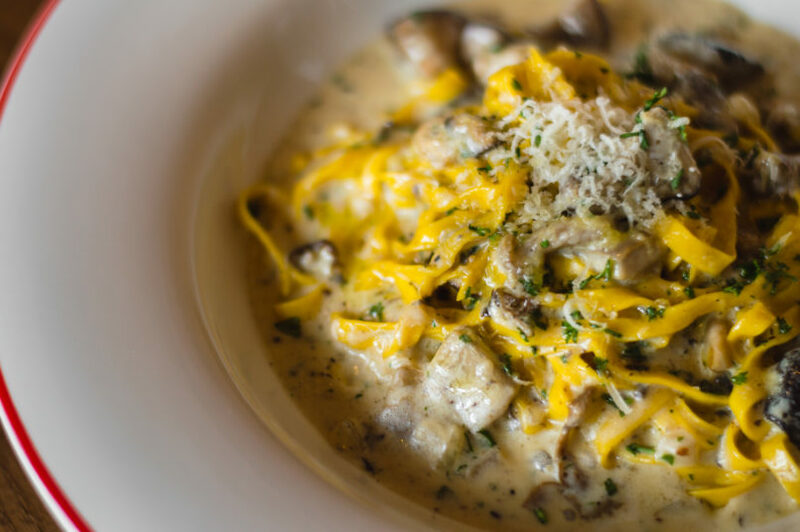 The city is often, if not always, hungry for the latest and greatest in dining. 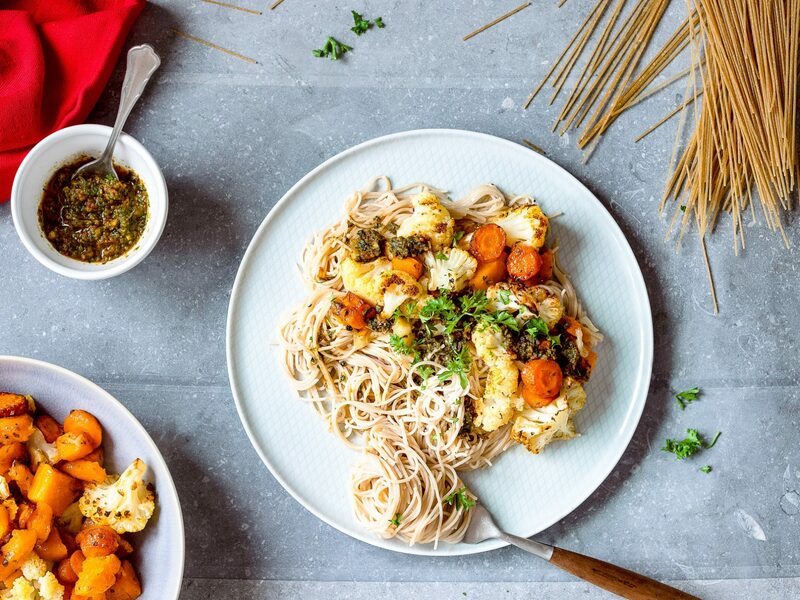 With a slew of new restaurants popping up every month, Bangkok is becoming one of the best culinary landscapes food lovers could ever dream of dwelling in. From a Korean spot and a hamburger haunt to a chill yet chic trattoria, ditch the old humdrum spots and head over to these new restaurants to wine and dine at in Bangkok this April. Buns, meat and cheese, these are the things that are universally loved by burger devotees. 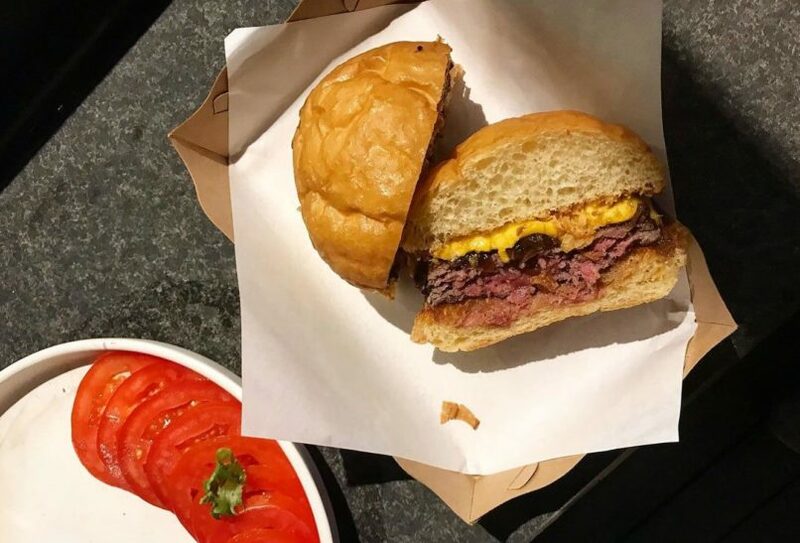 So when Homeburg, the indie home-style burger haunt with the agenda of serving four burgers a day opens a sister joint called Bun Meat & Cheese at 72 Courtyard, we know it’s going to be worshipped by all you carnivores and burger monsters. The venue is designed to be a bit advance than before with the plan of serving 100 buns a day, well exactly 96 more than what they served at Homeburg. The burger will come beautifully stacked up with buttery Japanese milk buns, fat-filled beef patty and toppings like cheese, crisp lettuce and other toppings of your choice (approximately THB 320 depending on the toppings you get). Open: Tue-Sun, 5 pm-1 am. The Ari trattoria, Cantina Wine Bar & Italian Kitchen, is now spreading its wings to the other side of the city, Sukhumvit Soi 11. Though it’s a new location, the mission is pretty much the same; Cantina Soi 11 aims to carry on their legacy of offering one of Bangkok’s best Neapolitan pizzas, yummy yolk-enriched pasta and classic Italian dishes. 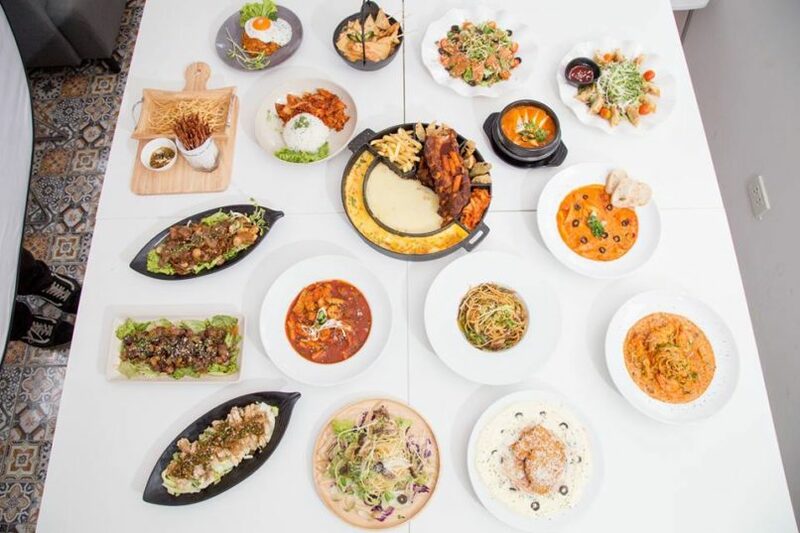 Tuck into mouthwatering signatures like the Parma Ham & Sweet Melon (THB 490), Fettucine Cantina (THB 390), Pizza Piccante Speciale (THB 450) and last but not least, Tiramisu (THB 200) to round up the meal. Open: Sun-Thu, 12 pm-12 am; Fri-Sat, 12 pm-3 am. 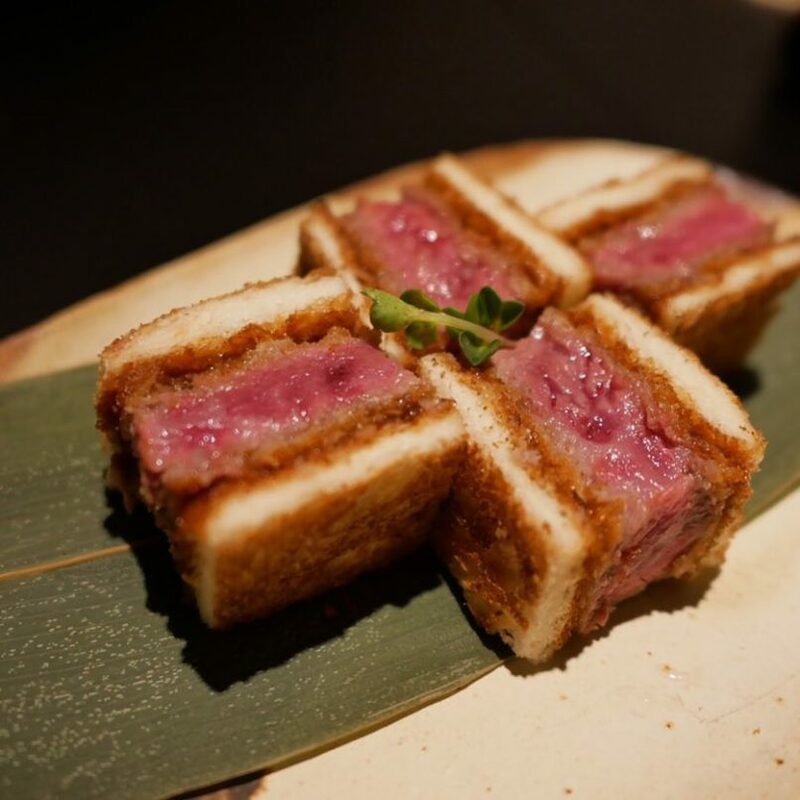 The Wagyu sandwich is truly where Japanese meets western. And that’s exactly the cuisine Bambino is mastering. The Phloen Chit eatery cooks up a selection of seriously-good fried wagyu sandwiches. Breaded and fried until the skin turns orangish, the wagyu has this crispy crust that helps to maintain the meat’s chewy texture and juiciness. Glued together by a thin layer of their secret sauce, the wagyu enveloped by two pieces of toasted white bread make the best sandwich your taste buds could ever crave for. Bambino also makes deliciously unfussy cocktails that go ridiculously well with their simple yet sophisticated and tasty sandwich. Open: Tue-Sun, 5 pm-12 am. 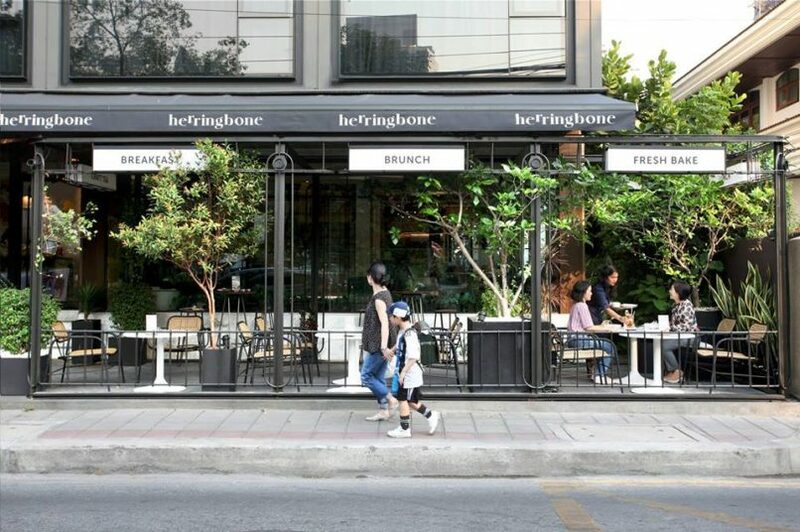 Focusing on international cuisine, Herringbone, situated within the leafy residential area of Soi Sukhumvit 53 features delicious breakfast, brunch, and lunch dishes inspired by cuisine from Thailand, America, Vietnam, Italy and more. Known also to be the new all-around food land, the venue also serves freshly brewed tea and coffee as well as butter-laden baked goods like cookies and croissants in an airy, Parisian cafe-like setting. Open: Mon-Sun, 7 am-5 pm. Organizing your own BBQ party is labour-intensive. So, let Seoul Light Korean BBQ do the work and all you have to do is just flip and feast on gorgeous wagyu beef, quality pork and thinly-sliced seasoned chicken. They also have BBQ sets which makes it cheaper than buying meat by a dish. So opt for the Thai French Beef Set (THB 1,400) featuring beautifully marbled slices of rib fingers, tenderloin, marinated rib and beef brisket. The menu is also loaded with fresh sashimi, drool-inducing Korean dishes and a wide range of soju and craft beer just for you to down while enjoying the chill vibes and conversation with your friends. Open: Mon-Sun, 11 am-11 pm.